Wendy Gell created the first ever Jessica Rabbit pins for Disney, offered through her own signature collection. 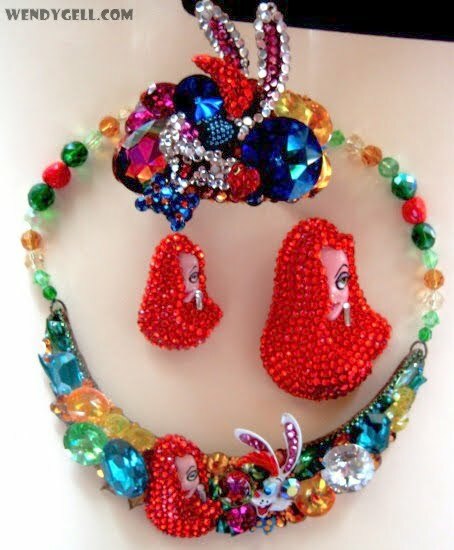 Her sculpted pins were quite different from the flat cloisonné pins we know today, but she was the first to use crystals on Disney character pins – and the first to create a Jessica Rabbit series. She also pioneered the movement of putting characters in different costumes – something that is now very common with modern day pins. What was her experience like working at Disney? Which real-life Princess received a Jessica Rabbit pin? What was Disney’s opinion of the Jessica character? Find out more in this very in-depth interview, exclusive to ImNotBad.com.